Free admission. Come enjoy the scene. Wristbands will also be sold at the event for those who wish to enjoy all the games and activities! 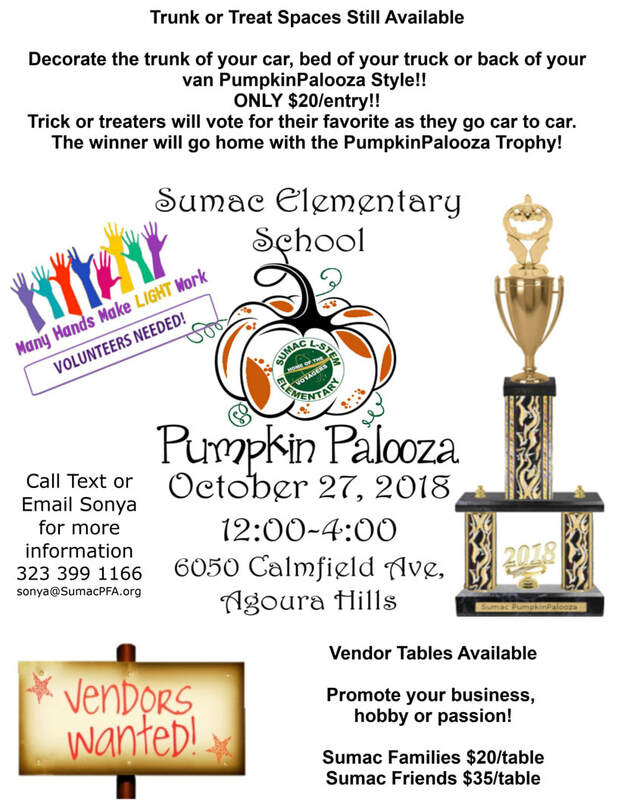 Please join us for Sumac L-Stem's Annual Pumpkin Palooza Festival on Saturday, October 27 from 12 - 4 pm. 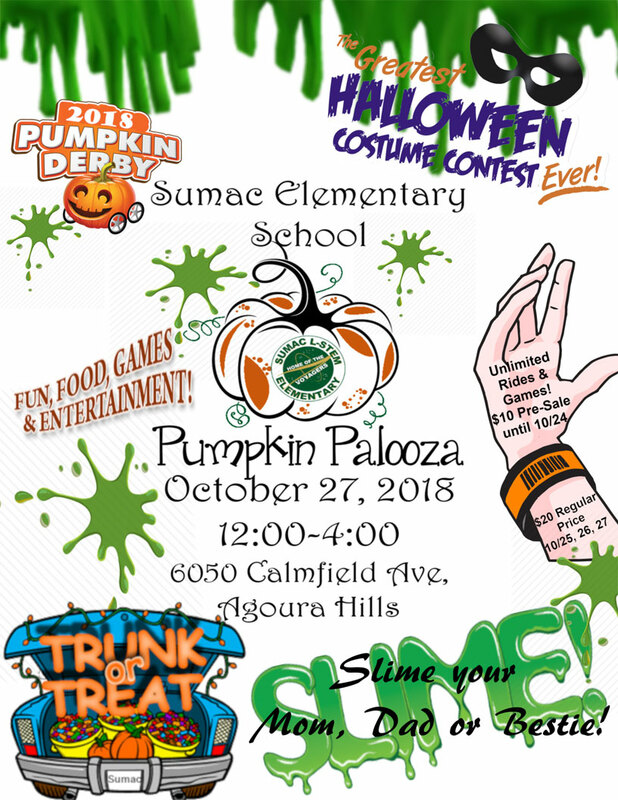 ​ Trunk-or-Treating, Sliming Your Bestie (or mom or dad), Costume Contest, Entertainment, Inflatable Giant Obstacle Course and Giant Slide, Pumpkin Decorating/Carving Contest, craft-making activities, and loads of fun! Vendor tables available at the Pumpkin Palooza festival. Welcoming parents, high school students, middle school students, boy scouts, etc. Community service credit will be given! will take place at this year's Pumpkin Palooza Festival! 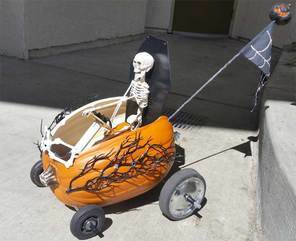 Put science and engineering together to create a winning racer from a pumpkin. Individual students, student groups, and families can enter their speed creation for a chance to win some wicked prizes. Will your racer be the fastest? The scariest? Or the silliest? You decide! Entry info coming soon!